Going bush is of course all about getting close to nature and respectful admiration of her manifest beauty. Unless you’re one of the many bogans who seem to think that a free campsite is somewhere to have a party and trash as you see fit. The isolated access road to Abercrombie River National Park, west of Sydney and the Blue Mountains, is a steep fire trail definitely only usable by four wheel drives. Bogans love driving them too. This second (see previous Bundy Bogans) photo reportage on bush boganism shows a total lack of respect for our fragile natural environment. The half-burnt table speaks for itself. The bubbly white smear of film on the waterhole results from happy campers’ oblivious shampooing and dish-washing waste. 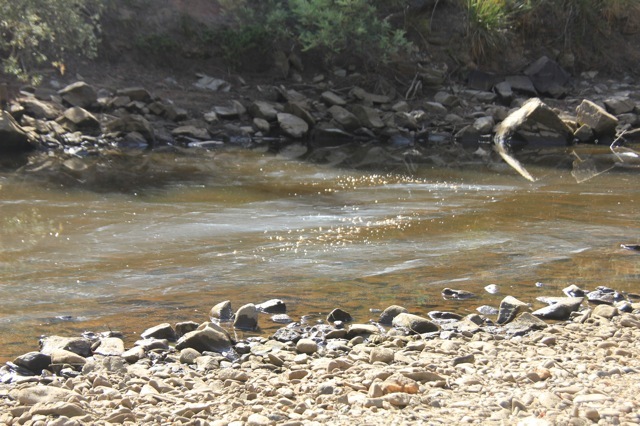 That dry country has not seen rain since October, and the river is reduced to a series of waterholes. Remonstrating with the young family concerned was met with a tiny sign of comprehension and culpability but no immediate expression of regret. At best, maybe they chewed on it on the way up the steep track home, and were embarrassed enough to change their ways. But don’t bank on it! Just a short distance from this pollution are other pools with schools of hardy carp trying to survive their reduced habitat until the river’s flow is restored with sustained rainfall, which is unlikely for months to come yet. 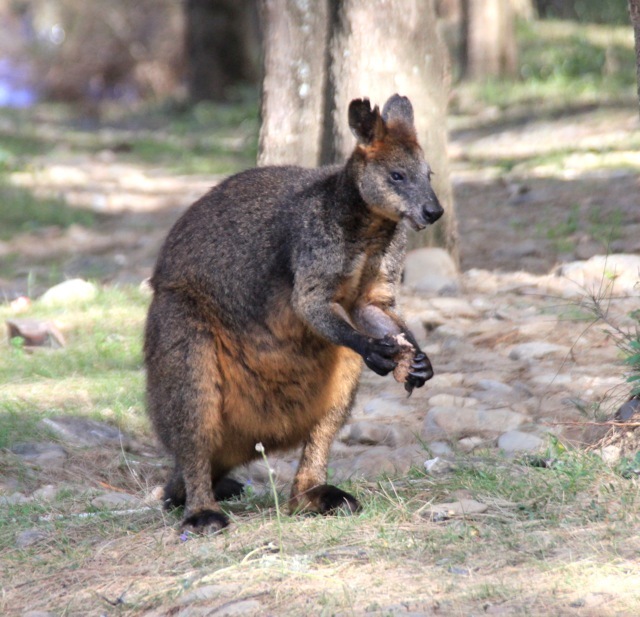 And the local red-neck, wallaby that is, enjoys some left-over human food from the bogans, which is not really best for him either. Trout cod, are you kidding me ? That is a carp buddy. I have land on the Abercrombie downstream from there. You cannot build anything or leave a van there, because it will be trashed in no time. One guy upstream from me used to leave his cabin unlocked and left a note saying ‘use the place, but leave it as you found it’ – they trashed anyway. Thanks Mike, for the carping correction. I’ll fix it up. 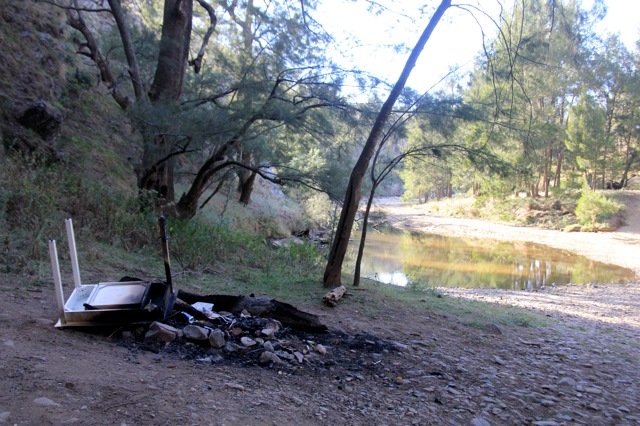 The general trashing was pretty dire too at the Abercrombie River free campsites near the bridge before Tuena on the Bathurst-Goulburn road. Sad reflection on our times, that people respect nothing! How about putting some IEDs on your land to shake up the destructive ferals (humans, that is!). Thanks again for your input. It’s hard to believe that people can do these things. What is their idea of camping anyway?? 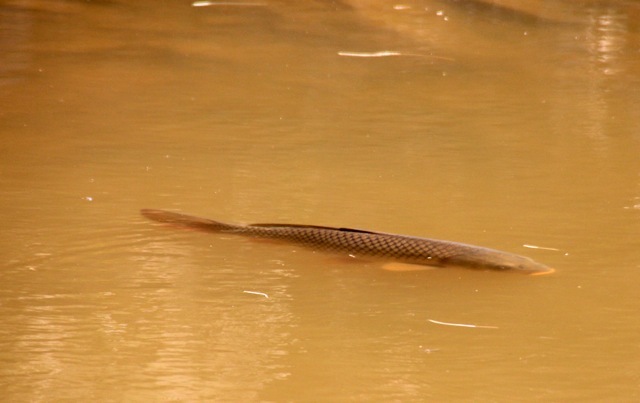 Pete those carp you’re supposed to use them for fertiliser, it used to be illegal to throw them back in a la yibbitta yibbitta Rex. I would guess it still is. Thanks BM. I’m not sure I’d bring them home for my compost bin though.